The Tibetan plateau is a unique place in the world not only for its spectacular geography but also for the ancient Tibetan and Buddhist culture that has been preserved for centuries by its isolation from the rest of the world. As business and tourism are booming in Tibet, bringing development and modern conveniences to the furthest reaches of the plateau and enabling the culture to be shared with the outside world, many problems are also being created. In many instances tourism can be responsible for degrading the natural environment, adding pollution in the form of rubbish, diverting income away from local people toward big investors who open hotels and businesses wherever the crowds go, and exploiting the local culture by making it “tourism friendly” for visitors. Responsible tourism is changing all of that. Explore Tibet is dedicated to using responsible tourism practices in Tibet to protect the Tibetan culture and environment and minimize the problems created by the tourism industry. By choosing a responsible tourism operator for your Tibet tour, you too can make a difference when you travel in Tibet, and help to protect the precious environment and culture from further exploitation. 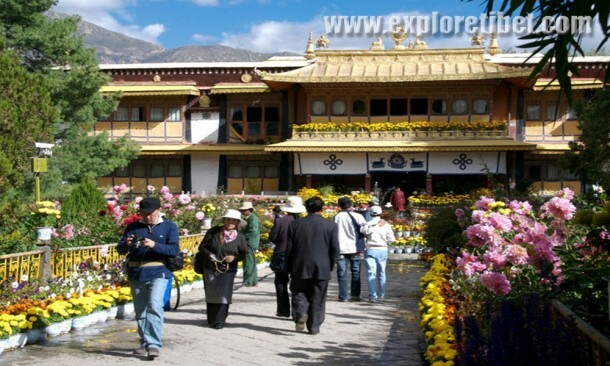 How can you practice responsible tourism yourself during your tour in Tibet? 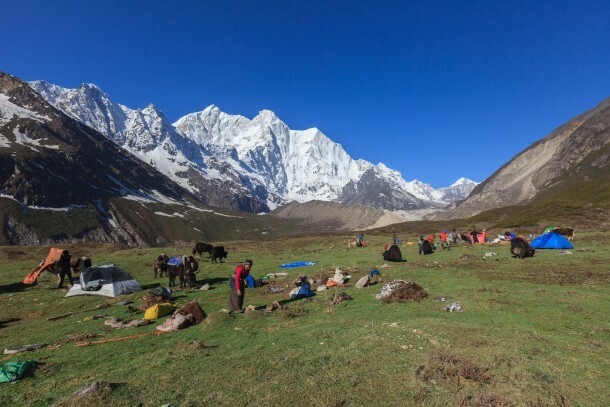 Read below for tips on how to travel responsibly in regards to the environment and culture of Tibet, and links to further information about responsible travel in Tibet. Plastic in the form of bottles and bags is one of the worst forms of waste left behind on the Tibetan plateau. Not only does it take hundreds of years to degrade, but it can also be ingested by wild animals, causing death. Bring a reusable water bottle for drinking, cloth bags for shopping, and do your part to reduce the plastic waste in Tibet. 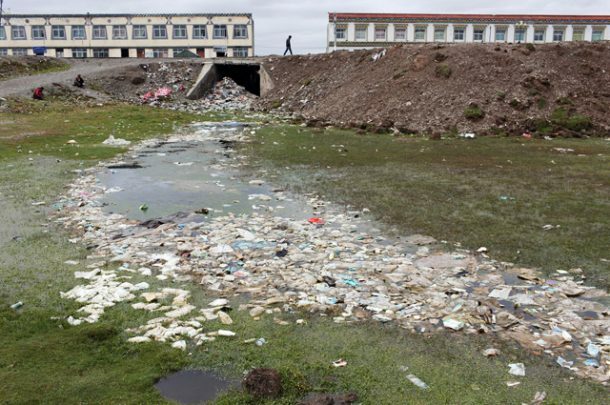 The once-pristine environment in Tibet is now littered with food packaging, plastic bottles and bags, and other markers of careless humans. When travelling in Tibet, make sure that you dispose of your rubbish properly or carry it with you until a proper disposal place can be found. The Tibetan plateau is famous for its untouched natural environment – the mountains, the grasslands, the glaciers, and the rivers. But over the years millions of tourist boots have begun to leave their mark on this land, degrading the natural environment, disrupting the habitats for many species, and causing erosion. Be careful where you tread, and always follow your guide to make sure that you are not adding to this problem. Water is a precious resource, especially in Tibet where much of the land is dry and there is little rainfall in many areas. Some of the most important rivers in Asia originate in Tibet, and millions of people downstream rely on the water to live. Don’t pollute natural water sources, and don’t waste clean water. It is important to dress appropriately and show respect for cultural etiquette while travelling in Tibet. Tibetan culture is still relatively conservative, and in monasteries especially there are specific do’s and don’t’s for visitors. Your Tibetan tour guide can inform you about how to dress and behave during your tour, to help you have the best experience you can. Many Tibetan people operate hotels, restaurants, guesthouses and other tourism-related businesses that sometimes struggle to compete with their rich Chinese-owned counterparts. Patronising these Tibetan owned and run businesses allows them to employ more local people and create wealth in the local Tibetan community. 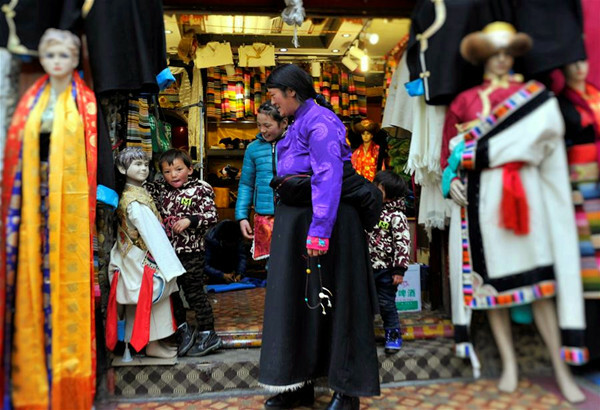 When you shop locally, buying products that are made in Tibet by Tibetan people, you know that the money will remain in the local community and will further encourage Tibetan production of goods. Many souvenirs are imported from Nepal or China for cheaper prices, but this means the money also returns to those places, leaving little benefit behind for the local Tibetan people. Before you travel, you should read books and watch documentaries to learn about the Tibetan people, to help you understand their lives and culture. Additionally, your Tibetan tour guide is full of information and stories that they can share with you while you travel – they are the perfect bridge for you to learn about this new culture. Do you want to know more ways that you can be a responsible tourist in Tibet and make a difference? Read Explore Tibet’s Responsible Travel page, and learn why you should book a tour with Explore Tibet, a leading responsible tourism provider in Tibet. You can also read more about responsible tourism in Tibet on the Tibet EcoTravel Collective website, run by a group of tourism operators in Tibet (including Explore Tibet) who have allied together to make a difference to tourism in Tibet.